 In 2006 we, Age and Marieke Okkema, established Stal de Mersken. Owing to our passion and dedication, we first acquired experience at training stables for many years and gained sufficient expert knowledge. We both come from families in which horses take a central position, especially the Friesian horse. When we were little, our parents took us to tilt at the ring events, harness competitions or just for a ride on the cart. Naturally, ponies and pony competitions were part of everyday life. Because of this all, the horses virus is firmly-rooted in our lives..
From an early age on, Age has helped his father breaking in horses. After many years of practical training with various training stables, Age came to work at his parents’ horse farm at the age of sixteen through a working and learning agreement. Age has entered the harness horses – performance inspection of the Dutch Royal Warmblood Studbook (KWPN) in Ermelo twice as a training assistant. Very soon, he purchased a show carriage of his own and entered harness competitions. In 2003, Age became open class champion with the Friesian stallion Timon. After this, many more victories were gained in the harness horses sports. In 2007 and 2008, Age became champion in the open class for pairs and in 2010 he became champion in the class for breedingstallions with Tsjalle 454. In addition to her job as an assistant accountant, Marieke has worked with various training stables. Among her tasks were breaking in horses and entering them in competitions. In 2004, the Friesian stallion Ynse fan it Nije Libben was purchased. In 2005, he won the championship for six-year-old stallions/geldings in the class young Friesian horses with a talent for dressage. In 2010, Marieke and the four years old stallion Thys fan Fjildsicht, became second in this same championship for four-year-old stallions/geldings in the class young Friesian horses with a talent for dressage. By getting married full Friesian style on the country wedding in Joure, we have shown how much Friesian horses mean to us. In the eighteenth-century park of Joure, we consented to one another in a beautiful Friesian gig drawn by two Friesian stallions. We were dressed after the fashion of 1850. Together with our team of professionals, we can be of service in various disciplines of the equestrian sports, as well as with the insemination of your dam. Under the heading ‘Training’ you can read what achievements have been put in with the preparation for inspection, riding in performance tests, competitive sports and breaking in. Under the heading breedingstallions you can learn more about our sires. What started as a hobby and sport when we were young, has now grown into a professional enterprise in which hobby, sports and work go hand in hand.